Unique style with enchanting glimmer from the chrome on the VANESSA fixture. A lovely crystal accent finishes the look along with the beautiful scrolling that surrounds the 3 light candelabra style bulbs. This is an outstanding fixture. It comes complete with 5 ft. chrome chain and 6 ft. cord. Perfect for foyers, entrance ways and stairways. Beautiful oval shaped laser cut chandelier, trimmed with sparkling crystal. Adjustable height from 13" to 48". 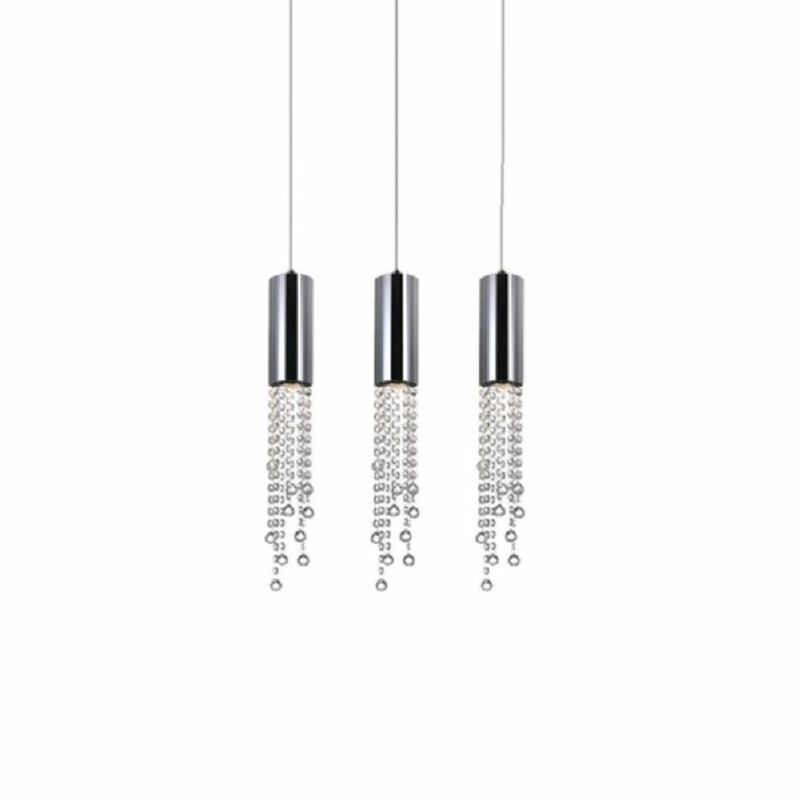 This breathtaking 3 Light Chandelier with Pewter Finish is a beautiful piece from our Verbena Collection. With its sophisticated beauty and stunning details, it is sure to add the perfect touch to your dicor.